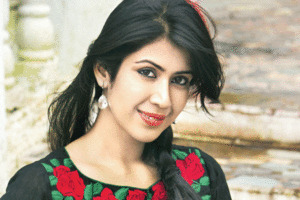 After her marriage to actor Karan Patel, Ankita Bhargava is set to return to TV with 'Reporters'. The actress was last seen making an appearance in 'Nach Baliye' for hubby Karan. According to a source, she will play a rich businesswoman in the show. The source says, "Ankita will play Shreya, Rajeev Khandelwal's ex wife, who will buy over the TV channel in the show." Ankita remained unavailable for comment. Welcome back Rajkumari Unnati. I used to adore her in Dekha Ek Khwab. It's going to be interesting to see her in a grey character! I was hoping to see someone from DEK cast in reporters,well Mark Farokh Parakh would have been a perfect gossip boy!